Purchase a reusable 100% cotton shopping bag (and stop buying plastic bags). ALL profits go to ocean conservation. Information on how to purchase a bag below. Purchase a beautiful print. Choose your print from our GALLERY and email jonas@zingoceanconservancy.org. ALL profits go to ocean conservation. Have your own little beach cleanup and send us how much weight you cleanup up and a picture.  Email us at zingoceanconservancy@gmail.com and we will fix!